When it comes to ranking high on Google, relevant backlinks are important. Search engines use backlinks to determine how they will rank your page. So, if your backlinks are not coming from legitimate sources, they could hurt your rank. It can sometimes be hard to determine where all your backlinks come from or if they are legitimate. The more you understand about backlink relevancy and how to check it, the more successful your website will be. Quality backlinks come from domains that are relevant to your website’s niche or topic. They come from authority sites that have a good standing with Google themselves. These sites have not been penalized by Google, and they have not violated Google’s Webmaster Guidelines. They are simply links that make sense and work well with your website. It can sometimes be difficult to find relevant backlinks, but it is essential to your website’s success. If you are trying to decide if you should allow a website to direct traffic to your content, you should always take the time to see if it will help improve your rank with Google. It isn’t always obvious if a website is authoritative or relevant. Don’t make the mistake of allowing random websites and sources to link to your content. 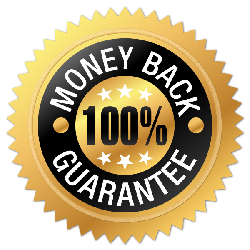 It is possible to get free relevant backlinks, so don’t try to cheat the system. You won’t win. Here are a few things you should consider to determine if a source is good or bad. Check the content schedule – Websites that are not active are not considered good link sources. Check to see how often content is added to the website. A site with regular updates can be considered a high-quality source. If the site is not updated often or has not had any new content added for a while, it’s likely not a good source. Check for penalties – You don’t want to allow a site that has been penalized by Google. Perform a check of the site before you allow it to direct users to yours. If you are auditing your profile, you should also run this check. Analyze the Traffic – If a site isn’t getting much traffic itself, it probably won’t help you get any, either. Analyze the site’s traffic and make sure it looks legitimate. If it comes from bad sources itself or if it is not consistent, reconsider allowing that site to link to your own. Knowing how to locate the bad links will help you get them taken down. While you can sometimes find the links yourself, it is a lot easier and faster to use a tool to audit your website. There are tools available to help you check your backlink profile at ScanBacklinks.com. These tools can help you find the websites that direct traffic to your content. We explained how to use ScanBacklinks checker here. You can then decide which ones are relevant and which ones are harming your website’s rank. You should try to audit your site regularly to keep your rank high. Once you find out your rank has dropped, you should also do a quick audit to see if the bad links could be the reason for it. How to Remove Bad Links? Should you happen to locate some bad links to your website in your profile, don’t panic; you can work to get them removed. It may not be easy, but it is possible. Remember that it might take a few weeks for links to be removed. It can also take some time for you to see a difference in how your website ranks. Be patient and respectful when requesting for links to be removed. Here are ideas that can help you get these bad links removed. Ask the Webmaster to Remove the Bad Link – This involves simply asking a webmaster to take the link off the site. Be polite when you make this request, and you will be more likely to get the link removed. Provide as much information about the link you want removed as possible to make it easy for the webmaster to locate it. Most webmasters will grant your request. It may take some time to get a reply or have the link removed, though. Ask the Host Provider – If the webmaster refuses to honor your request or has not responded within a reasonable time period, you can also ask the host provider to remove it. Providers do not want to allow the sites they host to post links that are not wanted. The host can go over the webmaster’s head and have the link taken down from the site itself or at least warn the webmaster that it will drop hosting if they do not remove the link. Try the Google Disavow Option – If you have been able to get the link removed, you can request for Google to disavow it. When it is disavowed, Google will no longer consider it when it determines your site’s rank. You should be careful about which sites you disavow and be sure to only disavow the ones that you have determined are hurting your rank. Accidentally disavowing a good source could hurt your rank even more. Take the time to evaluate each link and determine which ones are improving your rank and which ones are hurting your website. Every website owner wants to have a successful site. You need quality links for that to happen. It’s exciting to find out that other websites are interested in your content and want to link to it, but it’s important to check these sites to make sure they are authoritative and relevant. When you know how to find the bad links and audit your profile often, you can keep your content clean and improve your ranking with Google.